NASA’s Voyager 1 spacecraft officially is the first human-made object to venture into interstellar space. The 36-year-old probe is about 12 billion miles (19 billion kilometers) from our sun. April 16, 2019 - Voyager Wide-Angle Views of Jupiter The Planetary SocietyLast month marked the 40th anniversary of the historic Voyager 1 encounter with Jupiter in 1979. 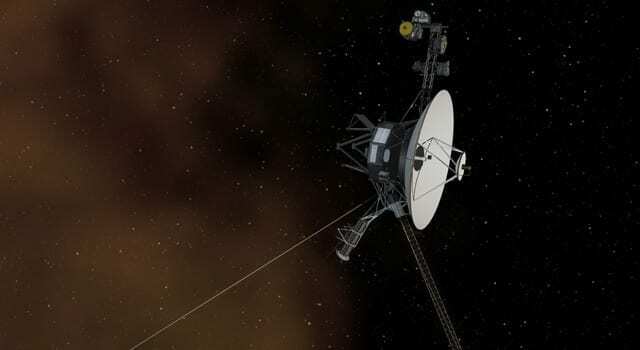 April 17, 2019 - Voyager 1 Fires Up Its Thrusters After 37 Years Dormant In Interstellar Space 2oceansvibe NewsA set of thrusters aboard the Voyager 1 spacecraft successfully fired up after 37 years without use. The Legacy of the Voyager Golden Record - Now. Powered by Northrop Grumman. March 26, 2019 - The Legacy of the Voyager Golden Record Now. Powered by Northrop Grumman.The Voyager golden record is onboard two spacecraft with images and sounds of Earth, intended for any extraterrestrials who find them. March 5, 2019 - What Voyager 1 Learned at Jupiter 40 Years Ago Space.comScientists are still looking at data gathered when Voyager 1 flew by Jupiter 40 years ago. December 10, 2018 - Voyager 2 Goes Interstellar, Just Like Voyager 1 HowStuffWorksVoyager 2 reached interstellar shores, over 11 billion miles away, to begin a new phase of its mission between the stars. Read more at HowStuffWorks.